Gareth Morgan joined Staffordshire Police as Chief Constable in June 2017. He embarked on his police career in 1987 in West Midlands Police. In 1996 he joined the Accelerated Promotion Scheme, and following this secured his promotion to Inspector. In 2000, he was selected to attend the FBI National Academy at Quantico and on his return was promoted to Detective Chief Inspector. In 2002 as a Superintendent, he was seconded to the Home Office, before a return to the West Midlands in 2003. The next eight years saw Gareth take up a variety of command and policy roles within West Midlands Police, before attending the Strategic Command Course. In 2011 he was temporarily promoted and took up the post of Chief of Staff to the President of the Association of Chief Police Officers. 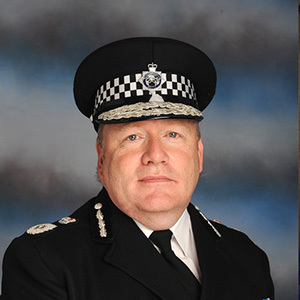 In July 2012 he joined Warwickshire Police and West Mercia Police as Assistant Chief Constable for local policing, before becoming temporary Deputy Chief Constable at Avon and Somerset in 2014, a posting that was made substantive in 2015.